Prior to the middleweight main event between accomplished strikers Anderson Silva and Michael Bisping as part of the UFC Fight Night 84 card tomorrow afternoon (Sat., Feb. 27, 2016), a pair of current and former UFC champions will take the stage inside indigo at the O2 Arena in London, England, to address questions from mixed martial arts (MMA) fans. 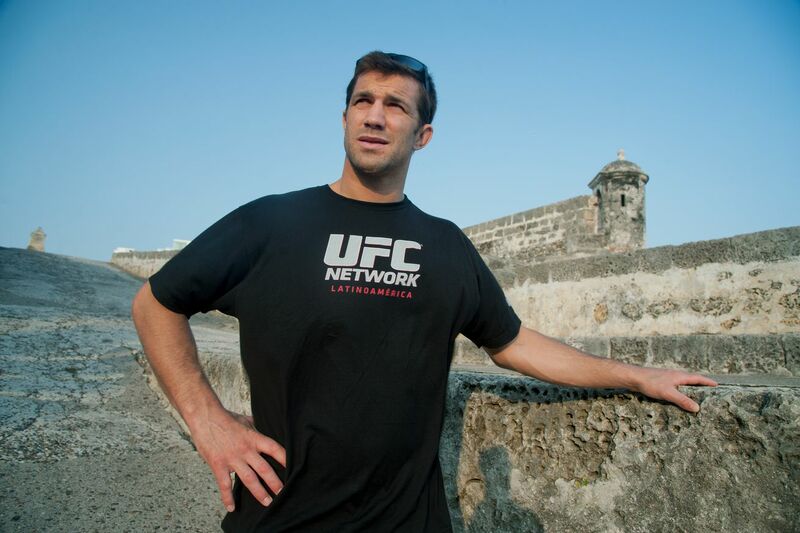 Middleweight titleholder Luke Rockhold and former light heavyweight champion turned UFC brand ambassador Forrest Griffin will hold court “across the pond” for about an hour before the UFC Fight Night 84 weigh ins take place at 11 a.m. ET. Rockhold will indeed be a keen spectator of the show’s headliner between “The Spider” and “The Count” as both men could inch closer towards a title shot with an impressive win. UFC Fight Night 84 will also feature a co-main event pitting Top-10 middleweight contenders Gegard Mousasi and Thales Leites against each other. The entire card will be broadcast exclusively on UFC Fight Pass beginning with the nine-fight preliminary undercard at 12:45 p.m. ET. For continuous coverage of the entire UFC Fight Night 84 card, including live updates and play-by-play, click here and here.